I’m really making a dent in those large die cuts I bought 4 years ago from Imaginisce. I think I have 3 more. This first layout doesn’t use the die cuts as a title, as I decided to use the collar as an embellishment. I pulled the colors from the collar to create the title (the red ones have been misted over; the yellow ones used a gelato in Mango). 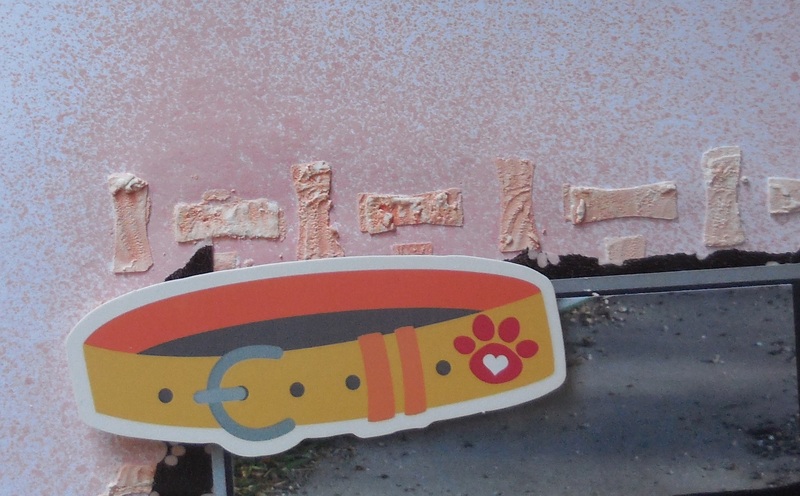 I also used my bones stencil to add texture with spackling paste. I then misted it over in several areas. Again, I started with the title and pulled those colors to use throughout the layout. 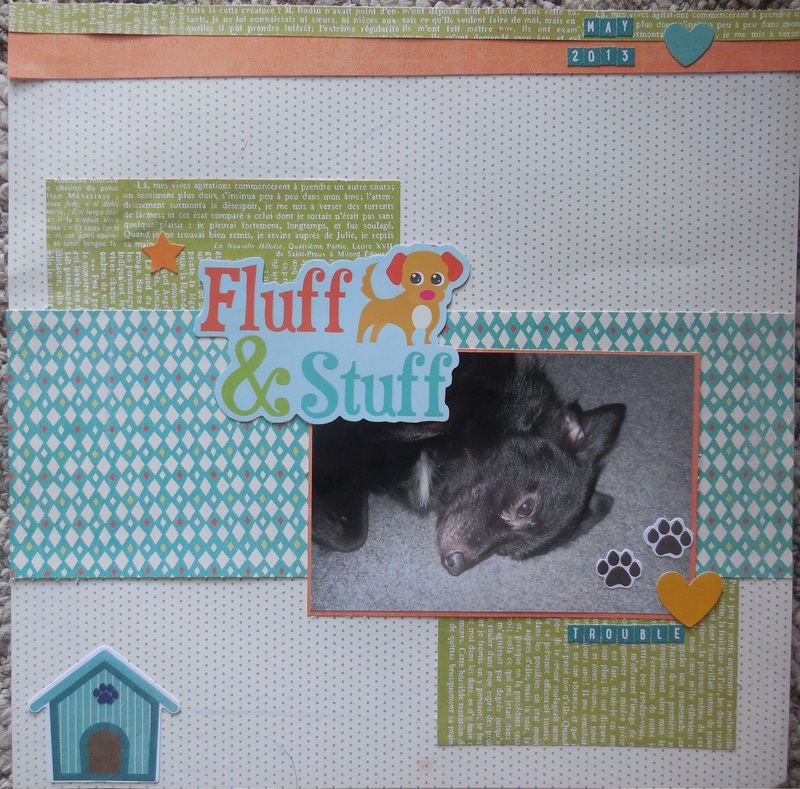 My papers are from Basic Grey “Hey Girl” collection and the other small die cuts (dog house, hearts, star, paw prints) as well as small alphas are from Jillibean Soup. 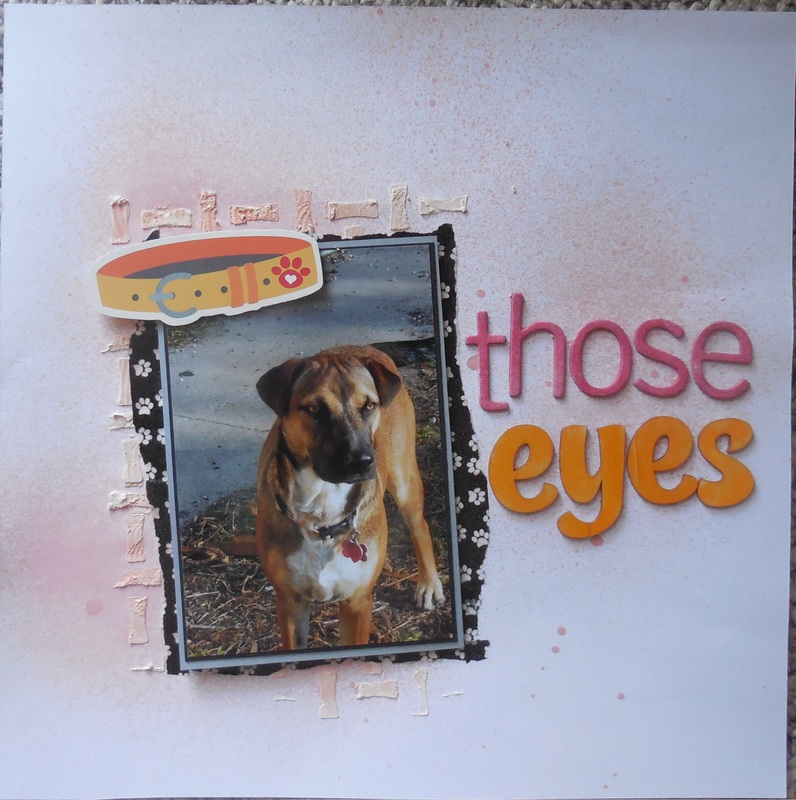 By blbabe1234  Posted in Doggies, Scrap-A-Day	 Tagged die cuts, Imaginesce die cuts, stencil, texture, Use It or Lose it! Those pages are Fabulous Brandy!!!! I love background, colors & the pictures!!!! !